While small business lending is up — another sign of life in the slowly recovering U.S. economy — the stagnant years preceding this recovery were difficult for small businesses. Banks were tight with loans and many companies found themselves shut out, unable to expand or replace aging equipment. During that time, many companies found success with a different type of loan. The practice dates back to 2006 with the launch of the first peer-to-peer loan company, Prosper. Today, there are many more players. LendingClub is world’s largest peer-to-peer lending platform, with Prosper in second place. Peer-to-peer lending is a fairly simple concept. It involves using the Internet to link borrowers and lenders for loans of relatively small amounts of money, usually up to about $35,000, at competitive rates and for short terms. Investors receive good rates of return, and small businesses and individuals get access to the money they require to take advantage of business opportunities. It works like this: borrowers provide their credit information, the purpose of the loan, and the amount they require in an application process. Investors evaluate the company’s credit worthiness and, if they suspect a good bet, they provide some part of the amount required. For some small loans, the investment could be as little as $25. Once the amount requested is met, the loan is granted and then paid back just like a traditional loan. The interest rates are set by the peer-to-peer lending service. The practice is still small, but growing. 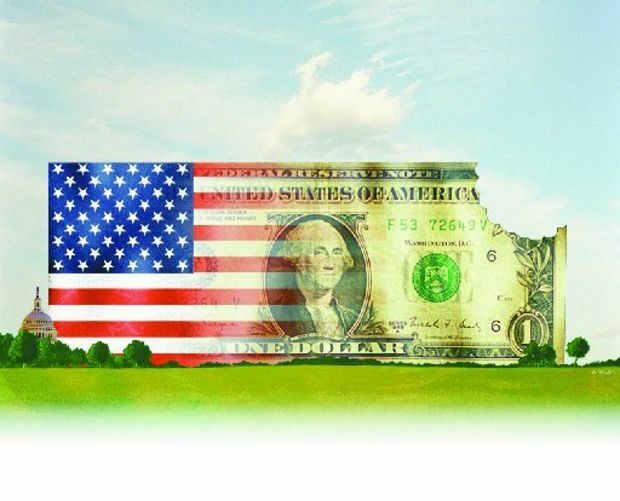 It’s expected that by 2016, peer-to-peer lenders in the U.S. alone will originate $20 billion in loans each year, according to Jason Jones, an organizer of the LendIt Conference and partner at New York-based Disruption Credit, an investment firm that specializes in online lending. Ron Suber, head of global institutional sales at Prosper, told IMT that the peer-to-peer model is popular with individuals looking to consolidate debt from high-interest vehicles. While LendingTree offers loans to both individuals and small businesses, and Prosper offer loans only to individuals, other services such as Dealstruck focus exclusively on the small business market. Dealstruck brokers loans between $100,000 to $1 million for two- to five-year terms and with interest rates between 5 and 15 percent. The benefits of peer-to-peer lending are obvious. Many of the services that offer this type of lending have no brick-and-mortar bank branches, which keeps operating costs and interest rates low. Borrowers and lenders do a lot of the administrative work online. This isn’t to say it’s risk-free. In its earliest days, the default rate of peer-to-peer lending hovered at about 17 percent — a figure that could give an investor second thoughts. Today, companies like LeandingClub use algorithms to screen borrowers for risk based on a number of factors such as credit, income, and industry averages. The algorithm weeds out about 90 percent of prospective borrowers. As a result, default rates have fallen to between 2 and 10 percent. Peer-to-peer loans aren’t government guaranteed, so it’s possible that their penetration will be limited. That said, however, the practice is attracting big names. Earlier this year, Google invested $125 million in Lending Club, which last year facilitated about $800 million in loans and says it’s planning to loan about $2 billion this year. The company is likely to attract bigger investors and greater confidence thanks to Eaglewood Capital, which provides the securitization for Lending Club’s loans. The New York Times notes that this securitization may be a crucial development for peer-to-peer lending because it might allow a wider array of investors to buy such loans. Many companies’ internal regulations might prohibit them from involvement in peer-to-peer loans without securitization. Suber told IMT that it’s about maintaining balance. Smart lenders have been able to greatly reduce risk by spreading out loans across a number of investors, attaining the right mix of high-risk, high-reward loans with more conservative loans that balance out the risk. And by lending only to companies and individuals with very good credit, the peer-to-peer model can rival many other types of investing. According to IRA Checkbook, as the American Airlines/US Airways merger runs into obstacles, pilots who have transferred their B-fund over to self-directed IRAcheckbook plans have one less worry. The success of the program is driving more pilots to consider going the self-directed route. Despite the recent DOJ action, the American Airlines/US Airways merger continues to move forward according to USAToday.com’s article published on 9/23/13 and the AA pilots have one less worry now that their B-fund retirement has been transferred. Many elected self-directed IRAcheckbook plans and their success is now driving more pilots by referral to consider going the self-directed route. Many professionals are not aware of all the options available for their retirement portfolio. 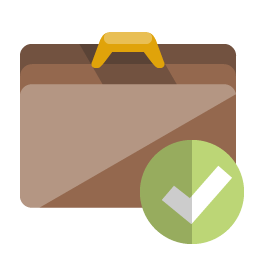 Most retirement investors believe they must hire someone to manage their funds. A self-directed IRA allows the investor to have full control over their own funds, thereby allowing them to make investments at will. A self-directed IRA offers a way to diversify the portfolio and pay dividends even in a down market. Investments may be traditional assets like stocks, bonds, mutual funds; but the real advantage is the potential in alternative assets like real estate, precious metals, private money lending and other permissible self-directed IRA ventures. 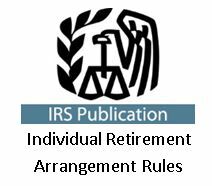 IRA rules allow greater flexibility for the individual investor than most think. Investors can have multiple IRAs, therefore, a self-directed IRA needs to be considered as part of the overall retirement plan. IRAcheckbook is pleased to announce the success of the B-fund transfer for American Airlines. Since the termination of the B-fund last November, American Airlines pilots have been forced to find a new way to secure their retirement. Given the option of either rolling their money into a new plan, like a traditional IRA or checkbook IRA, or cashing out completely, many of the pilots chose to become their own wealth advocate. The self-directed platform is well suited for those aiming to have full control over their retirement. A checkbook IRA is easy to navigate and aids investors immensely in positioning funds for emerging opportunities; thus ensuring a more diversified portfolio while enabling them to take advantage of future economic growth. “We have found that professionals with IRAs are eager to learn all the options they are entitled to for investing”, says Jeff, “More than anything else, our company and affiliates provide educational opportunities to demonstrate the simplicity of self-directed retirement plans. It is our hope that everyone with retirement funds will eventually take advantage of all their options and shake free of the status quo”. Although not for everyone, savvy investors have known since 1974 what a powerful tool a self-directed IRA can be. 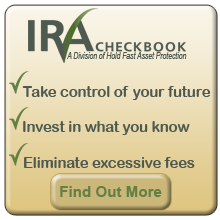 The checkbook IRA gives knowledgeable investors the opportunity to make investments when and where they see fit. For example, an IRAcheckbook Plan can be invested directly into real estate. All income collected on rent is tax-deferred or tax-free depending on the type of IRA, as is all the appreciation. 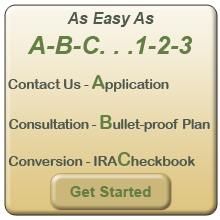 IRAcheckbook is a Self-Directed Facilitator of self-directed retirement plans. Our IRAcheckbook Plan gives the customer “checkbook control” over all or a portion of their IRA in order to make investments in assets like real estate, precious metals, private money loans, businesses, tax liens, etc.